How to Setup Home Page (Front Page)? And for NewsCard Pro click on Upload Theme button at the top. Click on Install button and for NewsCard Pro choose the zip file of NewsCard Pro then click on Install Now and activate it. Download the NewsCard/NewsCard Pro theme. Unzip newscard.zip to your desktop. Upload NewsCard/NewsCard Pro theme to /wp-content/themes/. Go to Appearance > Themes and activate NewsCard/NewsCard Pro theme from Dashboard. You will see a box named Select layout for this specific Post only. in below part of the text editor box. If you don’t find it, click on the Screen Options in the right top part and check on the Select layout for this specific Post only to show its option. If you select Default Layout Set in Customizer option, the layout set in Layout Options, will be the layout for this post as well. From this option you can hide Social Profiles/Top Bar, set navigation to uppercase, set background image/overlay and set advertisement. From this option you can hide social profiles from the top bar. From this option you can hide the top bar at the top. From this option you can stick the navigation to top even you scroll to the down. From this option you can set navigation hover/active state to light if you set navigation bar to darker color via Colors > Scheme Color. From this option you can set the background image. Just click on select image button to set the background image for the header. 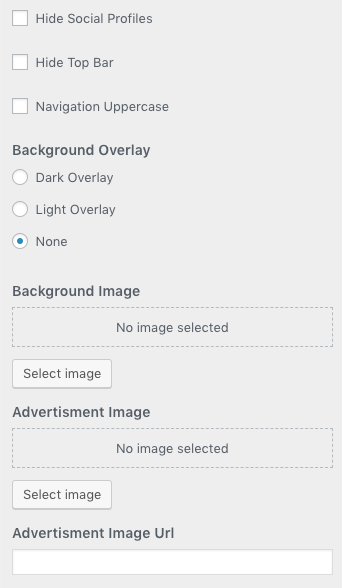 From this option you can change the background image overlay to dark, light and none. From this option you can set the Advertisement. Just click on select image button to set the Advertisement image for the header. From this option you can set the Url for the Advertisement. Just add the link on the text field to set the Url for the Advertisement. From this options you can set Top Stories Post which will scroll from right to left. To set it go to Appearance > Customize > Top Stories Post. From this option you can hide the Top Stories Post section. From this option you can hide the thumbnail of Top Stories Posts. From this option you can style the thumbnail to rounded. From this option you can set the title. From this option you can set the post number to show. 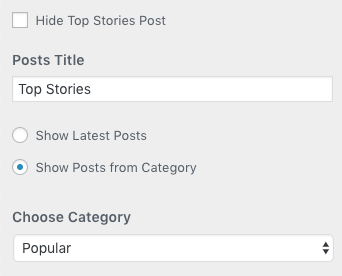 From this option you can set the latest posts or show posts from category to choose show posts from category and you will see the category option below where you can choose posts category. From this options you can set Banner which will display below navigation. To set it go to Appearance > Customize > Banner. From this option you can hide the Featured Slider section. From this option you can set the slide number to show. From this option you can choose the slider type to ‘Post’ or ‘Image’. If you choose ‘Image Slider’ type you will see Image Slider option below. From this option you can hide the Featured Posts 1 section. From this option you can choose post number to ‘ Only One’ or ‘Two’ Posts. From this option you can hide the Featured Posts 2 section. 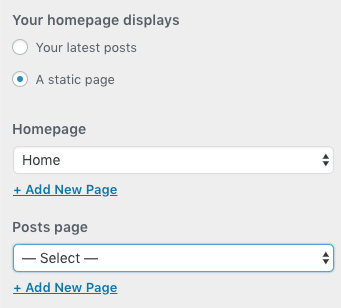 From this options you can set Header Featured Posts which will display below banner section and above the content. From this option you can hide the Header Featured Posts section. From this option you can show this section to ‘Homepage Only’ or both ‘Homepage’ and ‘Posts Page’. From this option you can enable slider. From this option you can set the slider to center. From this option you can set this section to Full Width. From this options you can set Font Family and Font Size. To set it go to Appearance > Customize > Typography. From this option you can choose between 700+ Google Fonts. From this option you can choose font size for sections. From this options you can set Scheme, Elements, Category and Font Color. To set it go to Appearance > Customize > Colors. From this option you can choose 11 pre-defined color schemes with one click or choose your desire unlimited colors from the color palette. From this option you can choose unlimited colors for different elements. From this option you can choose unlimited colors for category. From this option you can choose unlimited colors for the font. From this options you can set Excerpt Length. To set it go to Appearance > Customize > Excerpt. From this option you can set ‘Global Excerpt’ and on ‘Double Column Posts’ and ‘Horizontal/Vertical Posts Widgets’. From this option you can set ‘Excerpt Length’ for your Blog Posts. From this options you can choose Footer Widget Column, Hide Copyright/Privacy/Theme By/Powered By/Social Profiles and Footer Content . From this option you can set footer widget section to ‘Four, Three and Two’ column. From this option you can hide copyright info. From this option you can hide privacy link. From this option you can hide theme by link. From this option you can hide powered by link. From this option you can add your own content. From this option you can hide social profiles links. From this option you can set Footer content to center. From this options you can show ‘Featured Image’ in ‘Posts Single’ and ‘Page’ also shows title for the Latest Posts, if you set latest posts for your homepage. To set it go to Appearance > Customize > NewsCard Pro Settings. From this option you can show featured image in posts single. From this option you can show featured image in page. From this option you can set the title for the latest posts for your homepage. From this options you can set Footer Featured Posts which will display above the footer. From this option you can hide the Footer Featured Posts section. You can show your front-page as Magazine Template as shown in our demo. 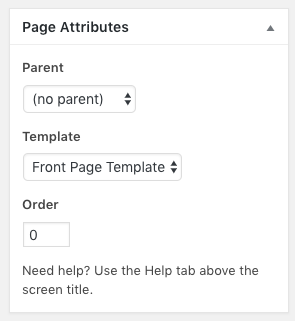 Create a page with any name and choose Front Page Template from template drop down. Choose A Static Page for Your homepage displays option and choose the page that you have created for Homepage option. Drag and Drop any widget from above 6 widgets to Front Page Content Section. Set the content accordingly as of the widget options.